In Himachal you could be the person you are. Traveled as I have extensively across the length and breadth of this magnificent state in North India, you see it brings out the poet in you. Such is the mesmerizing beauty and power so awe inspiring. Himachal Pradesh in India is bestowed with the largesse of nature and no wonder it has been rated as one of the best places in India if you are looking for summer vacation ideas post April. Located in Western Himalayas, Himachal Pradesh is renowned for its hill stations, snowy mountain peaks, cascading rivers and streams and of course Lahaul & Spiti. Some of the most popular tourist places in Himachal include Shimla, Dalhousie, Khajjiar, McLeodganj, Dharamsala and Manali whereas for more adventurous souls it could be Lahaul and Spiti or the Chandratal trek going on to Changthang (Tso Moriri) in Ladakh. Summer holidays can be best experienced in the northern region of India, especially in Himachal Pradesh which let you savor the myriad colors of nature in conifer clad mountains, thick pine forests, deep valleys, flower filled meadows and fruit-laden orchards. Draped along the north-west region of Himalaya, the state stands distinctive with its eclectic diversity and unspoiled natural largesse. With the onset of winters, Himachal Pradesh gets swathed in abundant snowfall. Add to this the fascinating variety manifest in snow-capped peaks, lakes, meandering rivers and verdant hill stations, tours to Himachal Pradesh are a mix of truly incredible and varied experiences. Fondly referred to as the ‘Queen of Hills ‘, Shimla is one of the most picturesque hills stations in Himachal Pradesh and a favored destination in India recognized for its lush surroundings and quaint British Raj ambience witnessed in its Victorian architectures. A favored honeymoon destination in India owing to its location in the forested foothills of Himalayan range, Shimla with its serene environs, mesmerizing locales and a host of fun activities is an ideal destination for couples and honeymooners throughout the year. One of the most luxurious ways to have a blissful break in Shimla is a stay at the Wildflower Hall and enjoy spiritually, emotionally and physically uplifting time at the India's leading and award winning spa. Besides Shimla, other popular tourist destinations such as Kullu-Manali, Kufri, Kangra Valley, Dharamsala/McLeodganj (where I am planning to undertake a journey next month...a trek to Kareri Lake may be), Lahual and Spiti (Chandratal is one of the most popular routes for adventure tours and trekking) are some of the most popular tourist destinations in Himachal Pradesh. For adventurous souls and trekkers one of the most popular yet very challenging destination is the Chandratal. 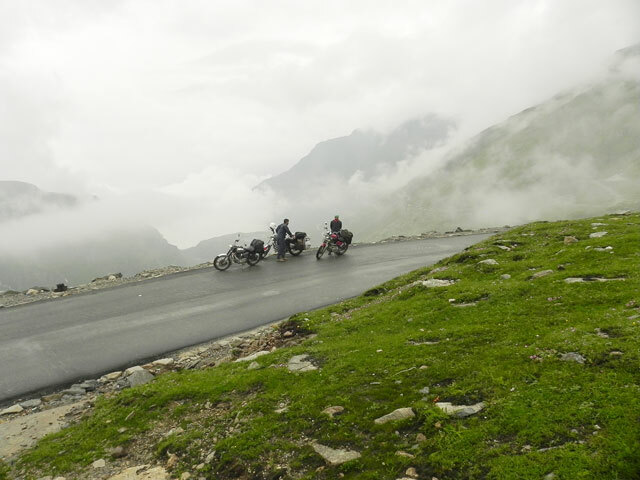 Many travel overland on jeep and Chandratal is a favorite route for bikers too. The road to Spiti could be taken either after crossing Rohtang La via Kunzum Pass or there is another route from Shimla via Narkanda-Tabo. Some trekkers even undertake the arduous Chandratal-Tso Moriri trek to Ladakh (Rated one of the top 10 places to visit in India) region in Jammu and Kashmir. Just as an afterthought: If you are concerned about traveling in Kashmir, you should read this. 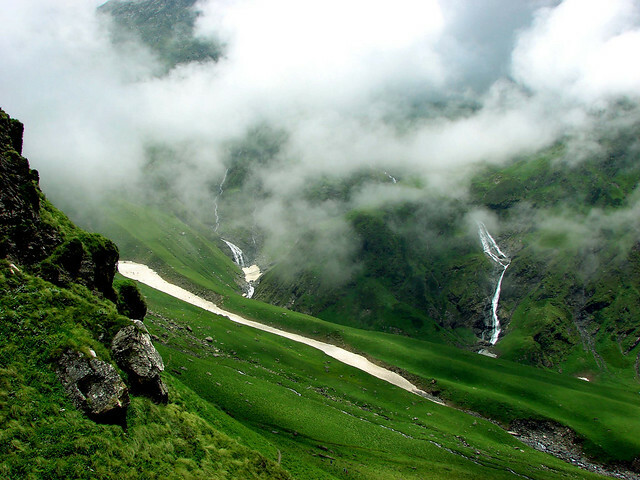 Yet another popular places to visit in Himachal Pradesh is Dalhousie. Hidden under the lush vegetation consisting of thick pine and deodar forests, Dalhousie is an enchanting bucolic retreat in the lap of Himalayas. Offering stunning views of the snow-capped Dauladhar range and undulating Chamba valleys, Dalhousie with its old world charm of British era and verdant greenery is also referred to as the “Switzerland of India”. Any tour package to Himachal is incomplete without a mention of Manali. Burgeoning with breathtaking scenery, recreational activities and adventure sports, this snow laden town is a hot-favorite destination for honeymooners and an ideal haven for beautiful beginnings. While staying in Manali, tourists can experience different adventure activities such as trekking, mountaineering, mountain biking, rafting, biking and rock climbing. Then there is Dharamshala, which truly lives up to its name, welcoming fatigued travelers in search of spiritual bliss. The scenic hill station is beautifully nestled in the foothills of Dhauladhar mountain range. Dharamshala is known as the center of Tibetan Buddhism and the bustling tourist center in upper Dharamshala - known as McLeod Ganj - is home to the Dalai Lama and the Tibetan government in exile. Yet another hidden gem of Himachal is Parashar Lake, seemingly unharmed with the ills of modern tourism. A weekend getaway from Delhi for the bantam backpackers and the noveau young generation of corporate execs, Parashar is tucked away in the higher peaks of the Dauladhar Range of Himalayas. 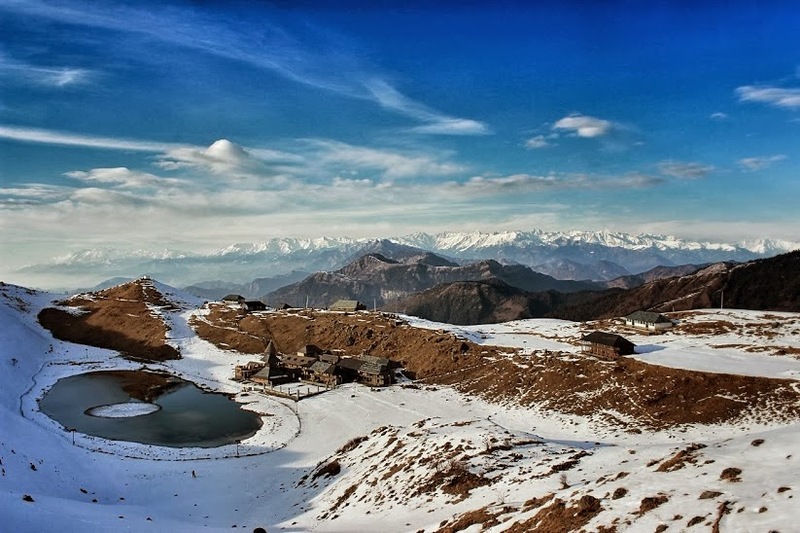 Located not far from Mandi, it is a popular winter trek as the snowfall add a fascinating charm to this scenic retreat. The trek is a moderate one and the lake is located at an altitude of 2730 meter. Despite the moderate elevation, the area receive ample snowfall in winter. Best time to visit Parashar Lake is from November till March if it is the allure of the snow that enthralls you. For those who don't want to undertake the arduous trek, the good news is that they could reach Parashar Lake by Road once the snow melts after March. For many a traveler who flock this mesmerizing destination nestled along the Western Himalaya, Himachal Pradesh is often synonymous with North India. Blessed with natural abundance, ancient temples and monasteries, high altitude snow deserts, tranquil forests and rolling hills along with a range of adventure activities and trekking trains, only a few destinations, if anywhere, could match the incredible bounties and innate charm of Himachal Pradesh. Draped with green forest, cascading waterfalls and the endless panorama of the jagged mountain peaks of Greater Himalayan Mountain Range, Himachal is definitely the place to be this summer. Or browse through 39 Himachal Pradesh tour packages at IndianHoliday.Com.